God is the biggest power of the world and we look for him in all the aspects of the universe. He is everywhere. In each and every particle of this giant universe. He created it, he created us. He created the entire lands and now all we know is he lives in our heart. But this woman claims that she has seen Jesus. We all believe we are near him but is it really the truth? Has she really seen Jesus himself? Is Jesus even present in this world we live in anymore? The questions may never end but it looks like she has an answer now. Shae House said that she saw Jesus’s face in a rock formation while she was walking down a trail last month. She could not keep herself from recording it on a video. She was in Blackwater Creek trail in Lynchburg, Virginia where she was crossing a trail and suddenly her eyes fell on something she was not expecting. She quickly took her phone out and recorded a video of the same. Later she shared that video on March 27th. She said she was around there, taking a few pictures when she saw the rock and instantly realized what she saw. In the video as well, you can hear her explaining what she saw and how she discovered it. 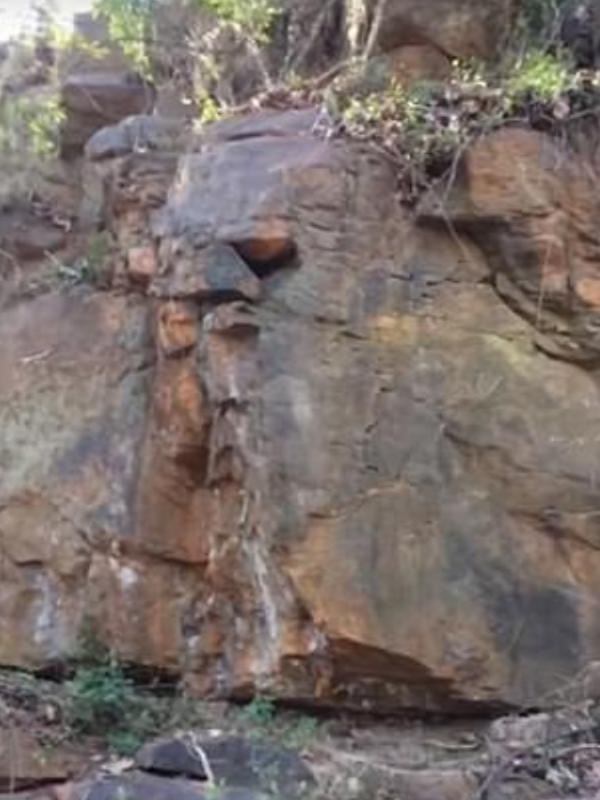 “I could literally see Jesus’ face in the rocks.” In the video, she has even explained the details of the face she saw. She said that the face had closed eyes; a crown made of thorns punched and wounded left check, bruised and puffy left eye. Well, maybe we cannot go at the exact location but we are glad she made a video and shared it. We can now sit at home and see the same.